ATLANTIC CITY, New Jersey -- The shuttered Showboat casino hotel will reopen next month - this time as a non-gambling hotel, a developer said Friday. Philadelphia developer Bart Blatstein said 852 of the complex's 1,300 rooms will be open to the public in July. The hotel will still be called the Showboat. "I'm extremely bullish on Atlantic City," Blatstein said. "I've never seen a better opportunity." Blatstein has been buying non-gambling attractions in Atlantic City, which is desperately trying to reinvent itself as a diversified resort that is far less dependent on gambling. Last year he bought the former Pier Shops complex on the beachfront and rebranded it as The Playground, a mix of restaurants, bars, nightspots and shopping. Caesars Entertainment closed the still-profitable Showboat casino-hotel on Aug. 31, 2014, the second of four Atlantic City casinos to close that year. The company acted in the name of reducing competition in what it considered an oversaturated market, putting 2,000 workers out of jobs. 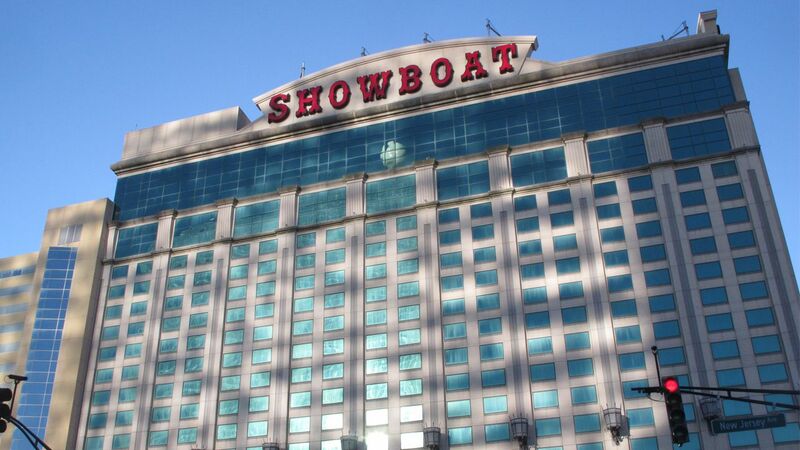 Caesars also placed a deed restriction on the Showboat, prohibiting a future buyer from reopening it as a casino. But a competing deed restriction among casinos in the area prohibited the Showboat from being used as anything other than a first-class casino hotel. It was not immediately clear how or whether those conflicting restrictions were resolved. Blatstein decided against adding another casino to the eight that remain and that are just starting to regain their equilibrium following the devastation of 2014. He did not mention it, but the possibility of New Jersey voters authorizing two new casinos in the northern part of the state could also weigh against adding another casino in Atlantic City. The developer said he just decided last week that the project was economically feasible. He said he hopes to have the Showboat open by July 4 but acknowledged it could be July 12 or 13 before it is ready. Blatstein said he is working on several new amenities for the Showboat complex but is not ready to reveal them yet. He bought the former casino for $23 million in January from Stockton University, which in turn had bought it from Caesars Entertainment, hoping to convert it into a satellite campus. But that plan quickly ran afoul of the competing deed restrictions, and Stockton looked to unload it. Showboat's next-door neighbor, Revel, shut down two days after the Showboat did. Its new owner, Glenn Straub, is talking about reopening it as a hotel with a scaled-down casino. Blatstein said he is unfazed by the possibility of a reopened Revel next door. "Development breeds development," he said. "People bring more people. "tely clear how or whether those conflicting restrictions were resolved.